For the man who wants to carry it all. 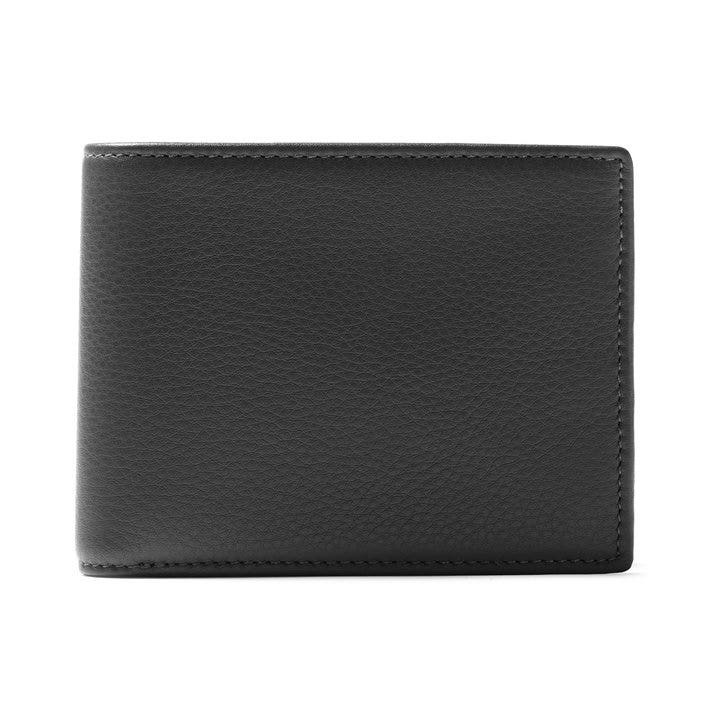 Our biggest bifold wallet, the men's Bifold Wallet with Flap has enough card slots to carry all your essential credit cards with room for more. A double bill compartment is perfect for keeping bigger bills separate or can be used to keep foreign bills away from your usual cash while traveling. For added storage, an ID window flap pops out of the side of the wallet for your driver's license and has extra storage along the back for additional cards. Made to be the ultimate carryall wallet, the Bifold Wallet with Flap will keep all you need while on the go. RFID stands for Radio Frequency Identification, and it is commonly used in chips for credit cards and scannable IDs. 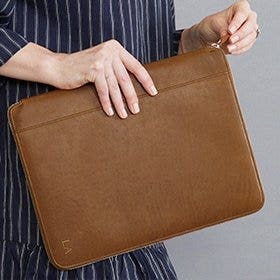 Our RFID blocking products are made with full grain leather and an electromagnetically opaque lining that shields high and ultra-high frequency chips (10MHz to 3000MHz), protecting you and your credit cards from criminal scanning. Our RFID blocking lining has a foil-like texture as it is made of densely woven aluminum, and may produce more noise compared to our other softer fabric linings. 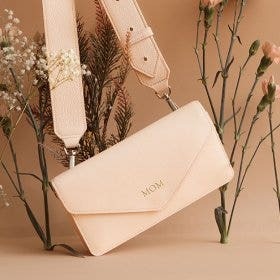 This wallet is fantastic! Just large enough for all my credit cards and I especially like the RFID shield for scan protection. I have had other wallets like this from other manufacturers, but this one is the best. Highly recommend it. My husband is extremely satisfied with his wallet. He had been looking for one like this for years. Recommend highly. 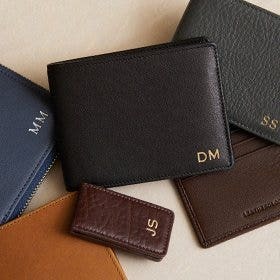 I stumbled upon this website while searching for men's leather wallets. I was looking for a birthday gift for my husband whose wallet was in terrible shape. 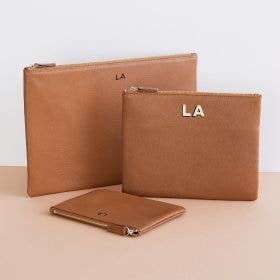 A true George Costanza wallet about to bust at the seams any minute! 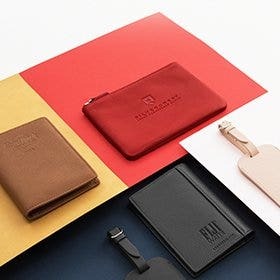 Anyway, this site came up and the bifold wallet with flap was very similar to what he had and had so many great reviews that I took a chance and ordered it. Because it was a gift I also took a chance and had it monogrammed with his initials knowing I was taking a risk if he didn't like it as it couldn't be returned since it was personalized. Unfortunately, when the package arrived someone had tampered with it and had removed the wallet. I was stunned. I had never had a problem with shipments to my home. I felt so violated! I started by contacting UPS as Leatherology was already closed for the evening. They opened a ticket and told me they would contact the company for me. On advice from my husband (who unfortunately had his surprise ruined) we also contacted the local police to have a report logged just in case we had to fight this with Leatherology or my credit card. Fortunately I needed to fight with neither. When I contacted Leatherology they asked for an email with the pictures of the tampered package and my police incident number and within a week they had shipped me a replacement for free. I just received the shipment and the wallet is beautiful. 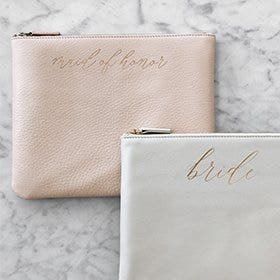 The monogramming looks so classy. I am just thrilled with it and so thrilled with this company. I will certainly purchase from them again. In this day and age, good customer service really makes a difference and I appreciate it so very much! I have entirely too many credit cards, insurance cards, emergency info cards....cards....cards. While not holding all of them this wallet holds all the ones that are important enough for me to carry with me. Great quality as you would expect from Leatherology and I like the 'blind' monogram, nice and understated. The openings on the window flap and card holders are generous enough so you don't have to fight to get your cards in and out like most other wallets. Highly recommend! The product itself is so soft and luxurious. It made for a great gift and packaging was on point as well. 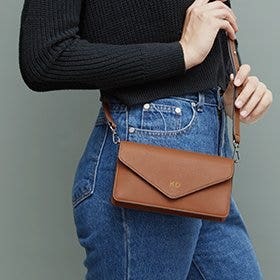 I've ordered wallets and purchased wallets over the years and never found a genuine leather wallet worthy of saying "genuine" This one owns that title. All the slots I need for my plastic cards, beautifully crafted, solid and seems like I will have this one for many years. It has all the bells and whistles for any wallet lover. 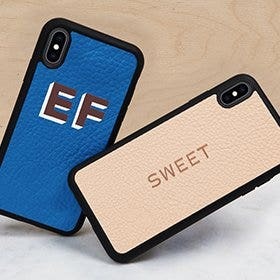 So happy I chose Leatherology!